Club president Amber Marsh won the Area 61 Fall Humorous Speech contest. Congratulations Amber! Good luck at Division! It's been a while since Llano Estacado had a newly minted Distinguished Toastmaster in the club. At least it HAD been a while. 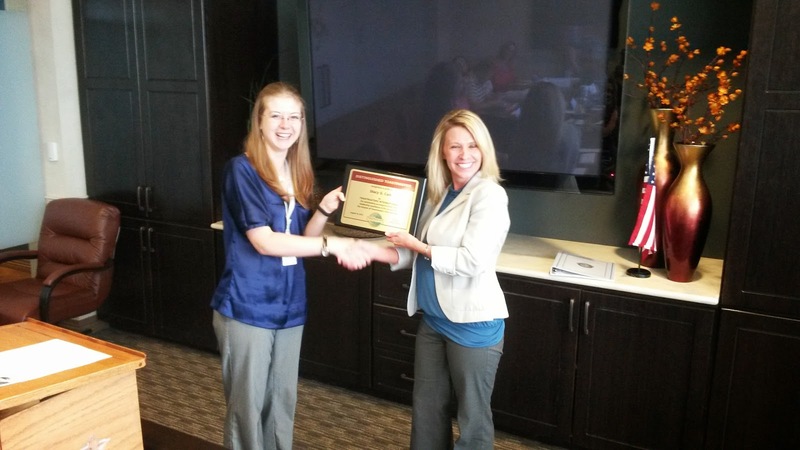 Yesterday Stacy Cain, DTM, was presented her DTM plaque by club president Amber Marsh. Stacy's DTM was six years in the making. It included almost 50 speeches, a term as both a club and district officer, mentoring a new member, and mentoring a new club (Eloquent Raiders here in Lubbock).